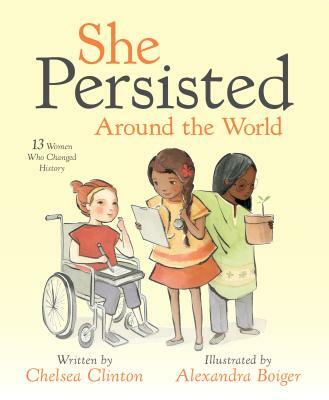 Chelsea Clinton is the author of the #1 New York Times bestseller She Persisted: 13 American Women Who Changed the World; She Persisted Around the World: 13 Women Who Changed History; It's Your World: Get Informed, Get Inspired & Get Going! ; Start Now! : You Can Make a Differenceand, with Devi Sridhar, Governing Global Health: Who Runs the World and Why? She is also the Vice Chair of the Clinton Foundation, where she works on many initiatives, including those that help empower the next generation of leaders. She lives in New York City with her husband, Marc, their daughter, Charlotte, their son, Aidan, and their dog, Soren. You can follow Chelsea Clinton on Twitter @ChelseaClinton or on Facebook at www.facebook.com/chelseaclinton.